"Women of Influence has given me a firm foundation for ministry and the confidence I needed to step-out in faith!" Terry, D.C.
Scriptural and spiritual foundations for women who want to make a difference. 12 one (1) hour lessons with Patricia King. Certification in Women In Ministry Network upon successful completion of course. All listed resource is available at the XP Ministries Bookstore. The Word of God is powerful and it will profoundly influence your life. It accomplishes everything that it is sent to do. from Scripture, you will be releasing the power of God’s Word and truth into your life. Your soul is the epicenter of what happens in your life. 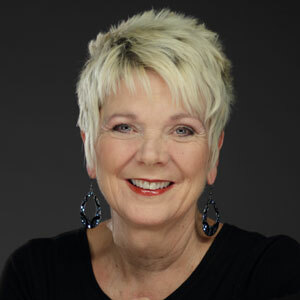 Patricia King takes you on a riveting journey through your soul to dis- cover why, and more importantly, how it holds the secret to a life of abundance and success. When your soul is aligned with God’s promises and purposes, you can possess your destiny and live in the perpetual blessings of God’s Law of Attraction. Do you long for deeper experiences with God? Would you like to press in for a more intimate relationship with Him? Well, He is longing for the same with you.The Glory School builds Scripture upon Scripture to guide you deep into the reality of God and His divine Kingdom. You will receive insight and impartation that strengthens your faith and deepens your relationship with the Lord. You will learn how you can experience the angelic realm, the third heaven, and closer encounters with the Holy Spirit. Get ready to experience the Lord in completely new levels of revelation and intimacy! Available on CDs, DVDs, downloadable MP3s, and can be ordered with or without the manual. Manuals can be purchased separately. Set is also available in MP3 format on a USB flash drive. It includes all 18 lessons along with the manual.